This is the fifth book in the series and Harry is about 15 years old in this book. A new teacher keeps putting him in detention because they do not believe Harry when he tells him that Lord Voldemort (Harry’s enemy) is back. I am halfway through the book and I want to keep reading it and all the books in the series. Big Ears smashes his bike in an accident and Noddy tries to earn some money to buy him a new one. 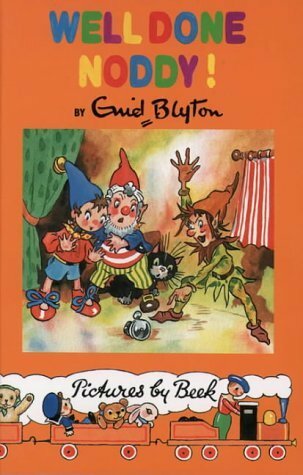 Unfortunately Noddy gets into all sorts of trouble like when someone tricks him into stealing a sailor’s vegie sack. Some parts are not that interesting. Eragon finds a blue stone which he thinks is a precious stone. Instead it hatches a dragon named Saphira. Eragon and his dragon have to run away from their home when an evil king finds out about them. This book is the first one in the Inheritance cycle. I like it because it has adventure with a boy and his dragon. It is very sad near the end so that’s why I’m giving it... 4.9 out of 5. The main characters are Calen a magician’s apprentice, Meg is a princess with a secret and a dragon named Jakl. It is a bit of fantasy and adventure. I’m not giving the book 5/5 because the dragon is not very smart! This book features two of the most horrible, smelly, ugly and despicable characters you will ever find in a kids book! All they ever do is spend their days plotting and carrying out the nastiest tricks on each other. They are also extremely mean to animals particularly to birds and a family of monkeys. No sanitised ‘everybody is shiny and nice’ that you usually find in kids stories! But they get their comeuppance in the end when the animals get their revenge! Definitely a 5 out of 5 and more!